Blink is the first build we complete in our workshops. 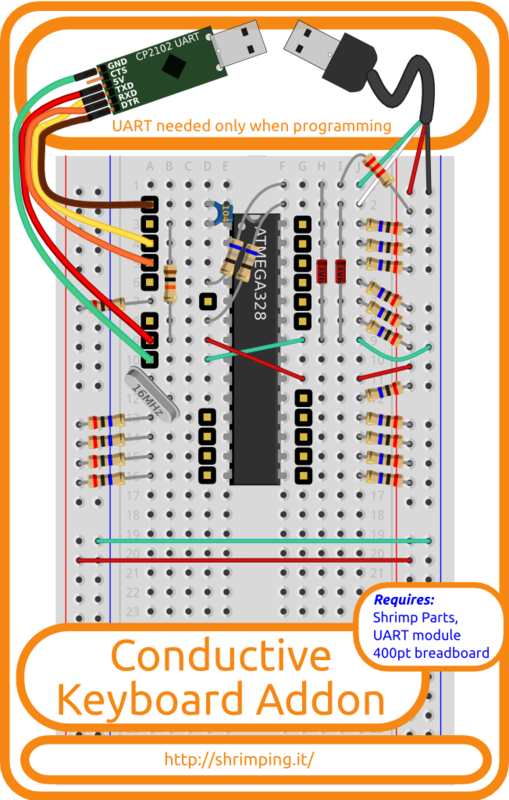 It is the simplest possible Arduino-Uno-compatible circuit, made on solderless breadboard. 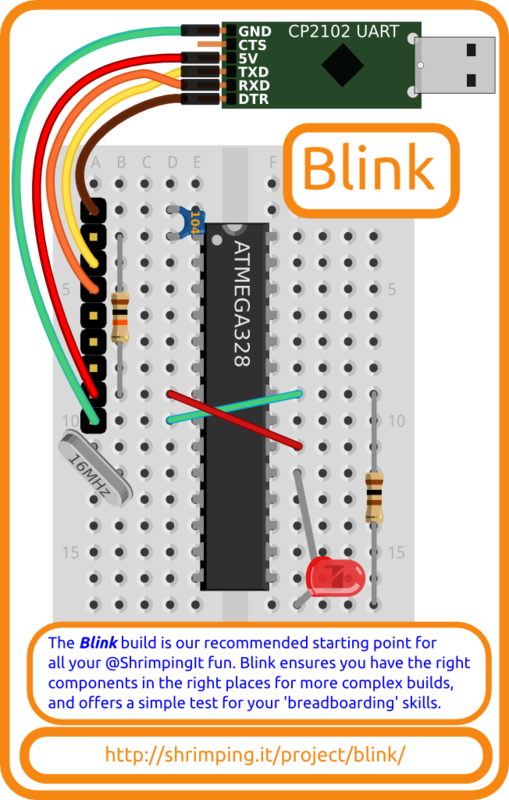 You can attach it to your computer and program it to Blink its LED. Once you have Blink working, you can go on to make a whole universe of projects. 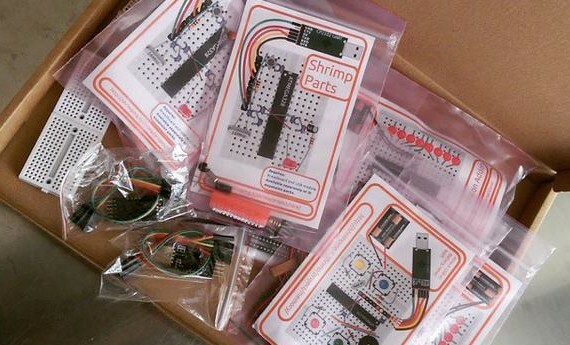 The @ShrimpingIt projects all follow on from Blink, with build diagrams, software, bagged kits and teaching materials. 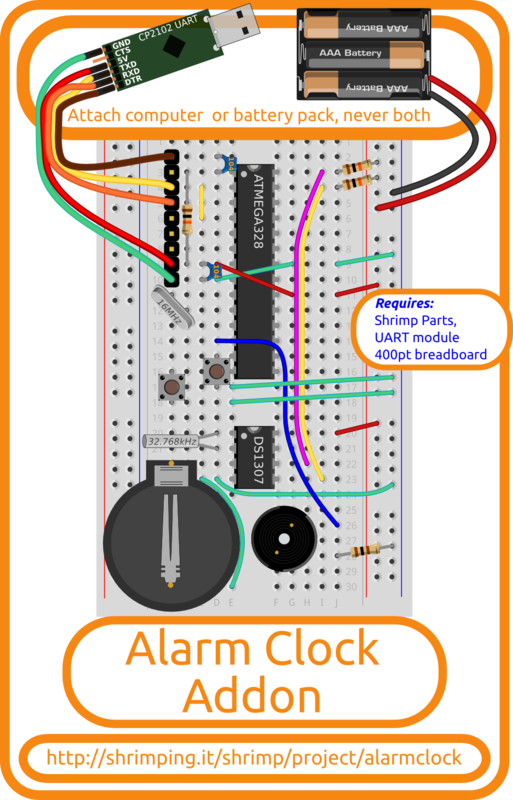 For example you can build a Persistence of Vision display to paint your name in the air, a Conductive Keyboard for interactive games driven playfully by touched objects just like a MakeyMakey, an Alarm Clock to explore time-driven applications, or a Memory Game as a high-impact demonstrator of physical computing to wow friends and family. 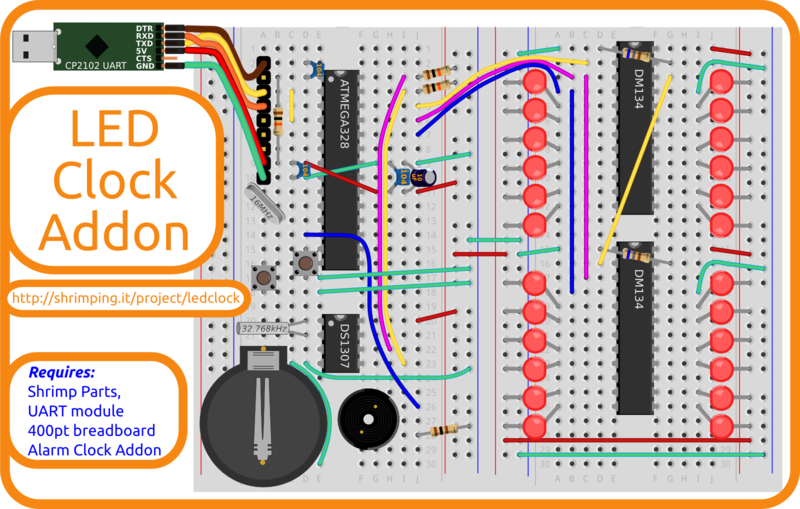 Since our layout is binary- and pin-compatible with an Arduino Uno, you can also take advantage of the huge collection of projects already shared for free by the Arduino community, but in a cheaper and more educational way than using an official Arduino board. 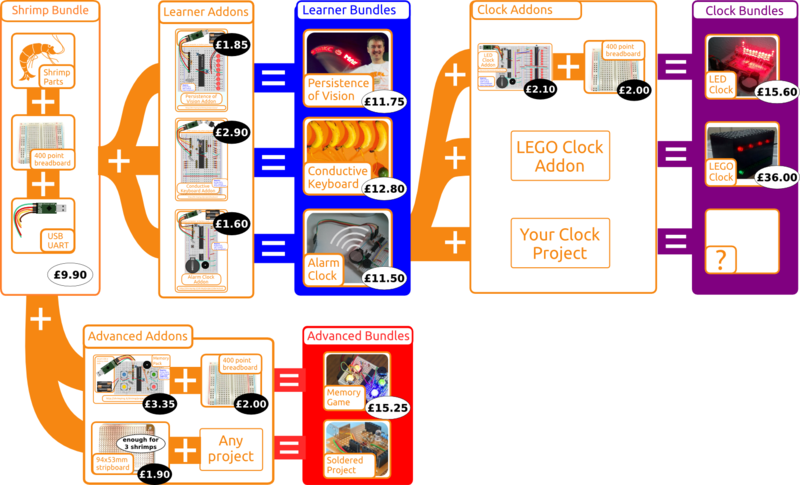 This table shows how our kits can be reused and recombined to make different projects. Complete project bundles are as low as £11-£16 pounds, but that only scratches the surface of the savings you can make. 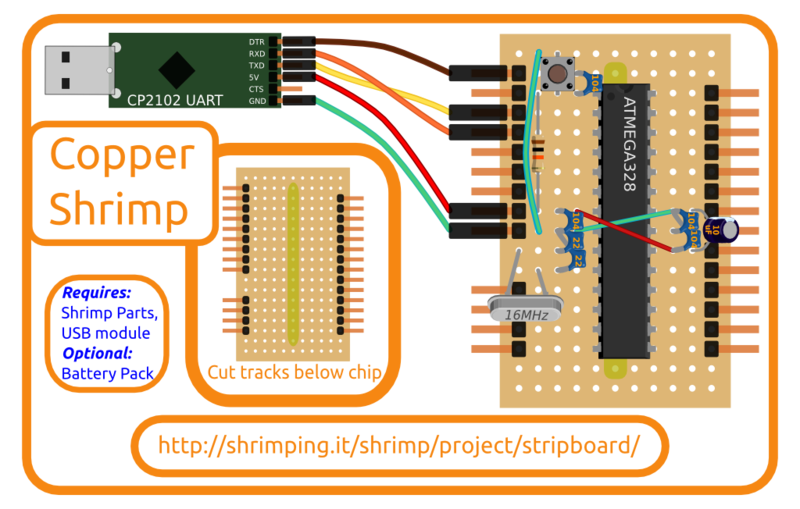 The Shrimp Bundle and breadboards can be reused between projects, making your second and third projects truly pocket-money prices. 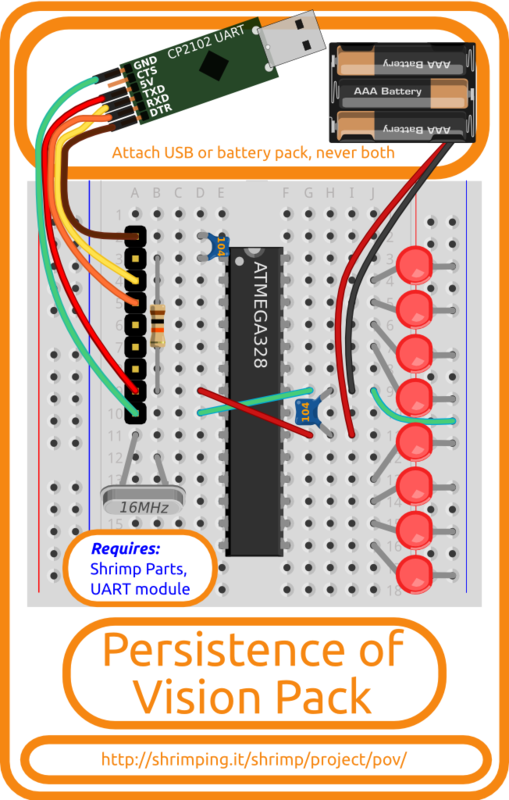 Within the Shrimp Bundle, the £3.30 USB UART modules are only needed when programming. 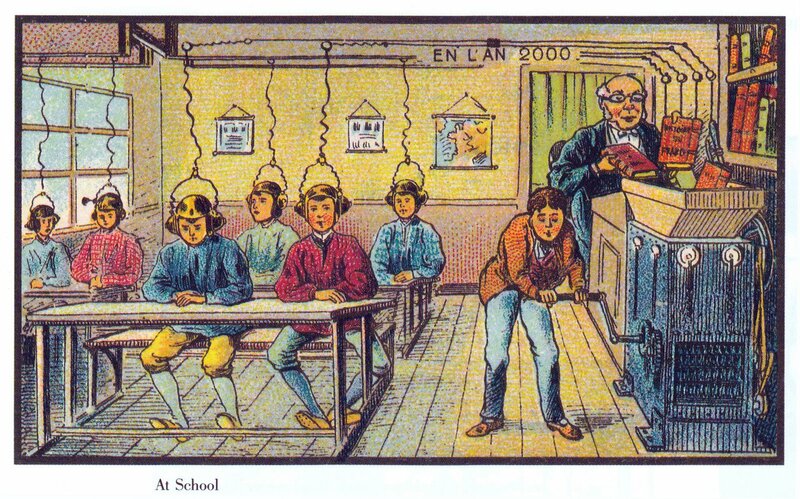 If money is really tight, they can be held as a classroom resource, with learners taking programmed projects away which run from battery or hacked USB cables (allowing them to re-program at home is the ideal). 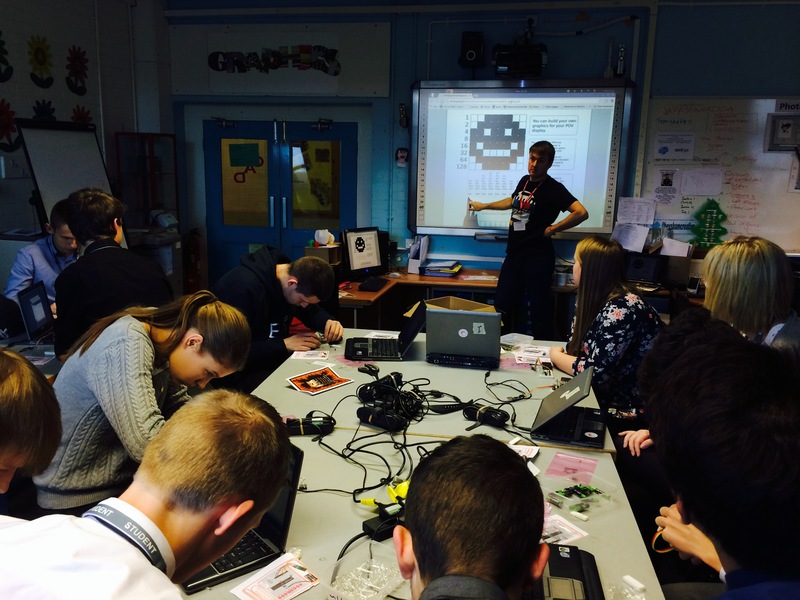 @ShrimpingIt has wide-ranging experience running workshops at schools and special events. We have a variety of formats to help learners and educators with their first steps. Workshop attendees build their own circuits and program them, getting familiar with the components they will be taking home. In a full-day workshop format, for example, we learn how to connect inputs and outputs to build their own personal invention ideas. 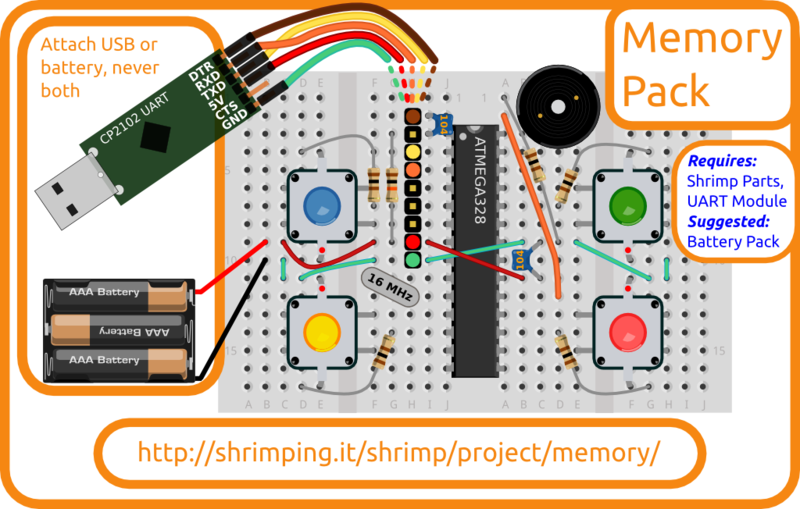 constructing programmable projects with cheap electronics prototyping material.